Danner has always been known for the more expensive prices on their boots, but many people around the world are fully invested in the quality and the value of their boots. 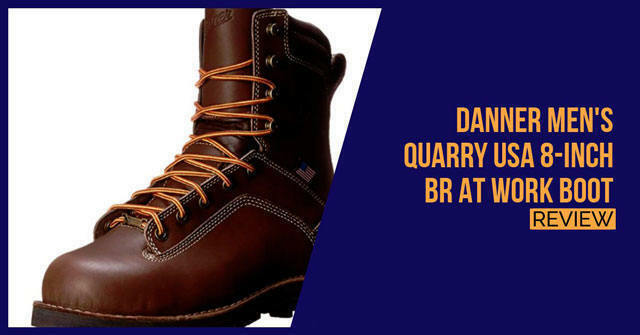 The Quarry USA BR is one of the top boots that you could choose from if you do find yourself working in the swamps or in some sort of strenuous outdoor environment. These boots have been constructed from premium grade leather and will ooze durability and keep you for multiple years. The shaft measures around 8 inches from the arch and this is quite large but will offer you some additional protection from cutting bushes and also a few bugs that might try and get inside the boot when you are walking. 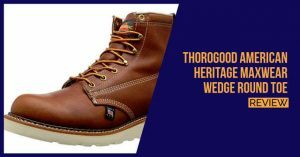 The heel is also a little lifted and with a 1.5-inch heel, you should not have any problems trekking your way through the swamps and getting your job done. 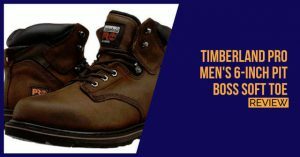 The rubber outer sole is also carefully designed and it has been tested to be slip resistant against water and oily spills on the most slippery of floors. This will be good if you need to walk past slippery and mossy rocks. The inclusion of a fiberglass shank will ensure that you have decent foot support and since fiberglass is used, your feet will not need to deal with extra weight when walking. 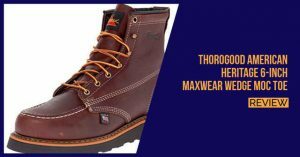 To further improve the durability, Danner has also gone so far to triple stitch the entire boot and ensure that you need not invest in a new boot for a long time. On the inside of the boot, you will find a Gore-Tex waterproof lining and this lining is also quite breathable, which means that you will not have to worry about your feet overheating on the inside of the shoes. The Gore-Tex lining has always been used by military personnel when they need to deploy in those wetter areas. In terms of pricing, this boot is really expensive, but still worth the price if you do work outdoors and in the swampy environments. 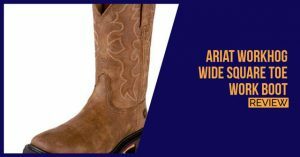 The boot is also extremely comfortable and once you do make the investment, you might not need to buy another boot for a few years, which means that you will certainly be saving a few bucks in the long term.